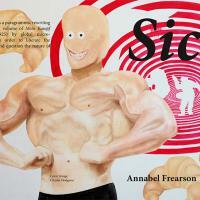 Annabel Frearson reads Sic, a paragrammic rewriting of Mein Kampf by global micro workers, as a critique of contemporary fascism. A paragram is a verbal play that reorders the letters of existing words and phrases. Thus, Sic intends to undermine Hitler’s text by rendering it deviant and to liberate the language contained therein by quite literally rewriting history. Sic enacts a material textual violence through an absolute dissolution of the original narrative and regurgitation as heterological mass comprising anagrams, disjunctive sounds and unspeakable interminglings of lettristic parts, rendering the antisemitic as antisemantic. The readings are recorded in a variety of contexts so as to re-entangle the liberated language with the material world.